Holy Hocus Pocus Batman! It’s almost officially fall. I don’t know where summer went, but I don’t really care. I’m so stinkin’ excited for boots and flannel and pumpkin spice everything. Although fall here is still fairly warm, I’m ready to turn the interior of my home from summer sunshine into autumn splendor. However, if I make one more trip to Hobby Lobby for “necessities” my husband might actually take away my credit card. 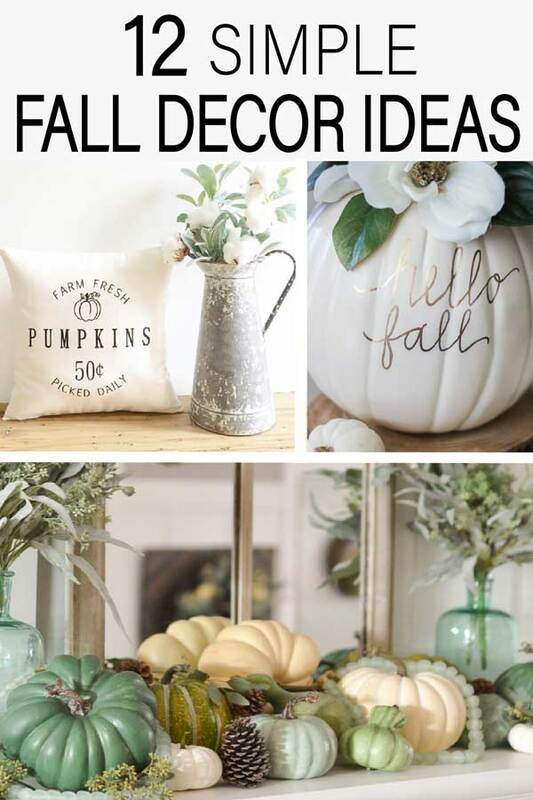 So, instead I’ve been scouring for simple DIY fall home décor projects I can do with supplies I likely already have on hand. Luckily, I have a stockpile of supplies and all this Pinterest-ing has me itching to get started. 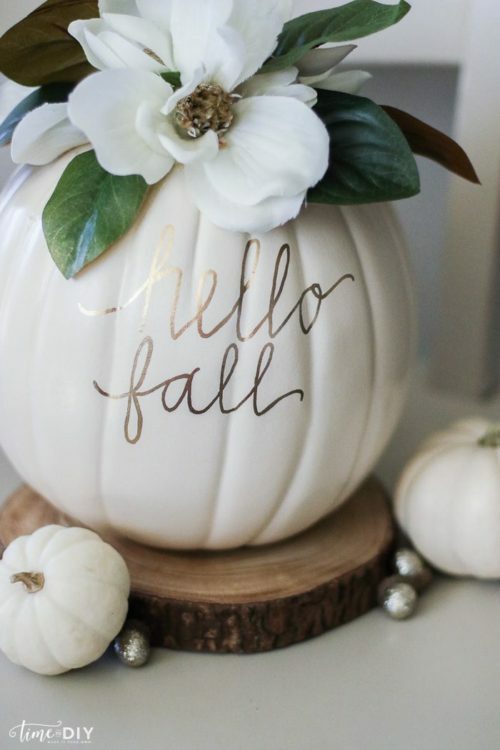 So without further ado, here’s my 12 simple DIY fall home décor projects you can do with me while we both start craving a nonfat iced pumpkin spice latte. Basic white candles that are not so basic. I actually think I have plain candles in our camping supplies. 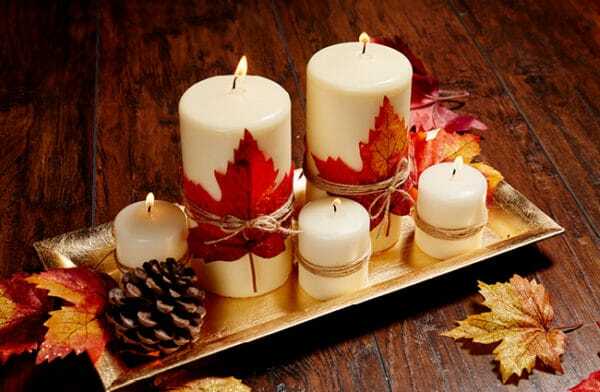 Now that summer is over, those candles can be used as a beautiful centerpiece with a little twine and leftover leaves from last year’s décor. This is a knock-off of the magnolia style which I absolutely love. But a little leftover white paint and a metallic marker is all it takes. I think this example is an actual pumpkin, but the cheap ones my kids used last year for Halloween buckets could do just the trick. You’ll never guess what these cute pumpkins are made of. Dryer vents! Who knew?! Now when the hubby is doing his honey-do list, you can be gathering supplies for your home décor. I love a cute wreath, and I use them on more than just the front door. Closets, mantels, even bathrooms could all use a little wreath love. 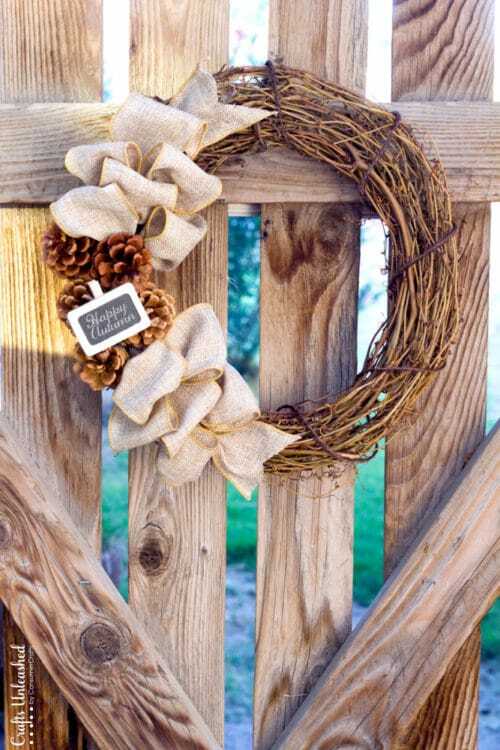 This one is great because it only uses burlap (check), pinecones (check), and a leftover grapevine wreath I bought on clearance and is still in the basement (check). Raid the pantry and make a super cute hurricane. If you don’t happen to have red beans or split peas on sale, you can slip them in on your next grocery trip. If you aren’t into the yellow undertones, pick split peas and white or black beans, better yet you can dye any kind of beans with food dye and a little water. Lay them out until dry and then use colors that match your home decor! Fall means cozy comfort, and so fuzzy throws and flannel blankets are a must. Those blankets need cute pillows to go with them. Grab a cute pillow, like this one found on etsy.com or make your own. You can buy iron-on vinyl (they even have flocked, which gives the fuzzy feel), cut your image and iron it right to your pillow, peel the backing away and you are done! 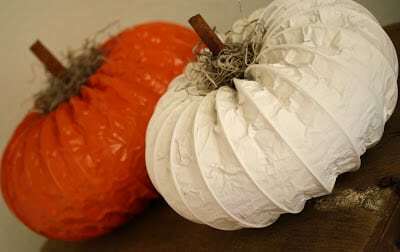 If you’ve got leftover wood scraps from your summer projects, you’ve got pumpkin supplies! These are one of my absolute favorite ideas and so simple to put together. 4×4 wood scrapes have a hole drilled on the top for a dowel “stem”. A button and wire are hot glued over felt leaves. 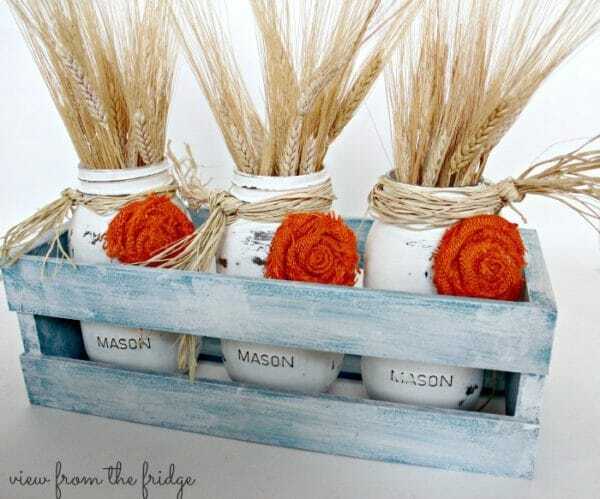 For a farmhouse look make these in white or stained wood! 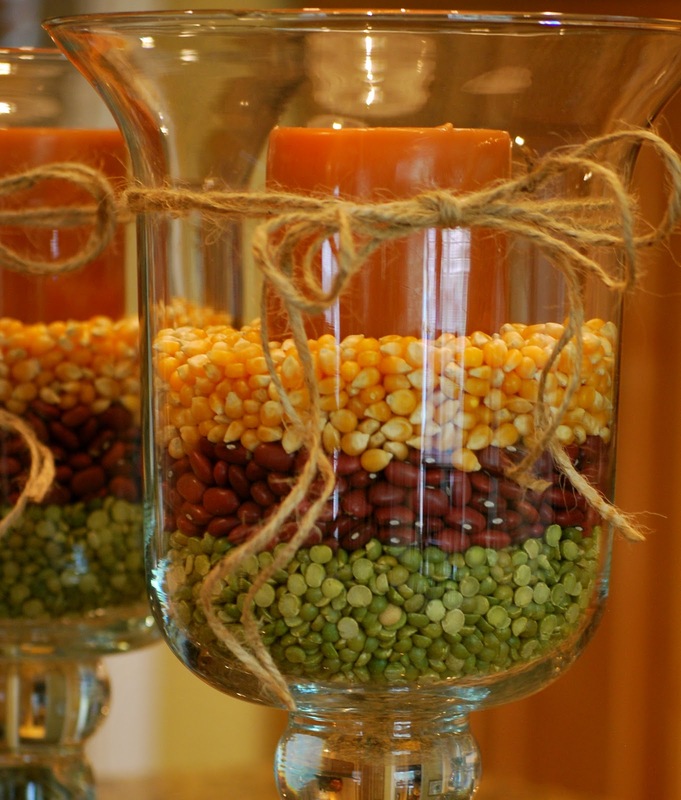 Who doesn’t love mason jars? 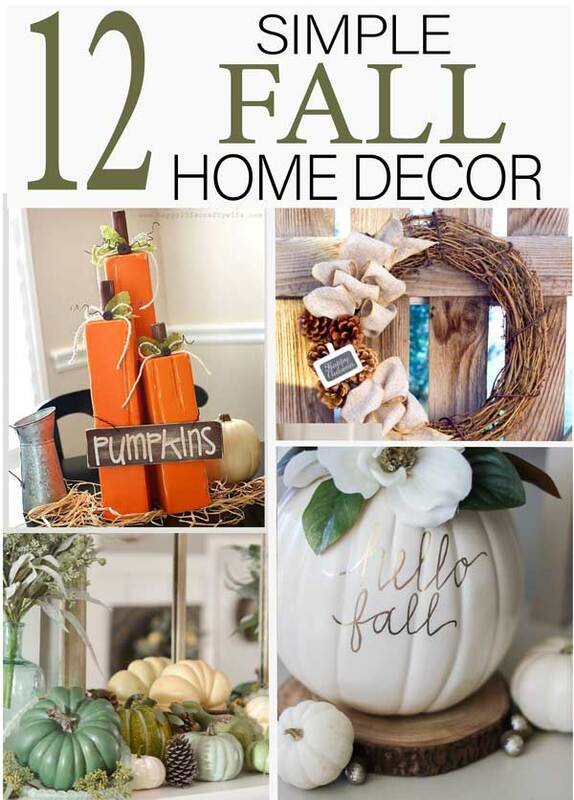 They are quintessential home décor and with a little paint and fabric, you can create a darling fall display. 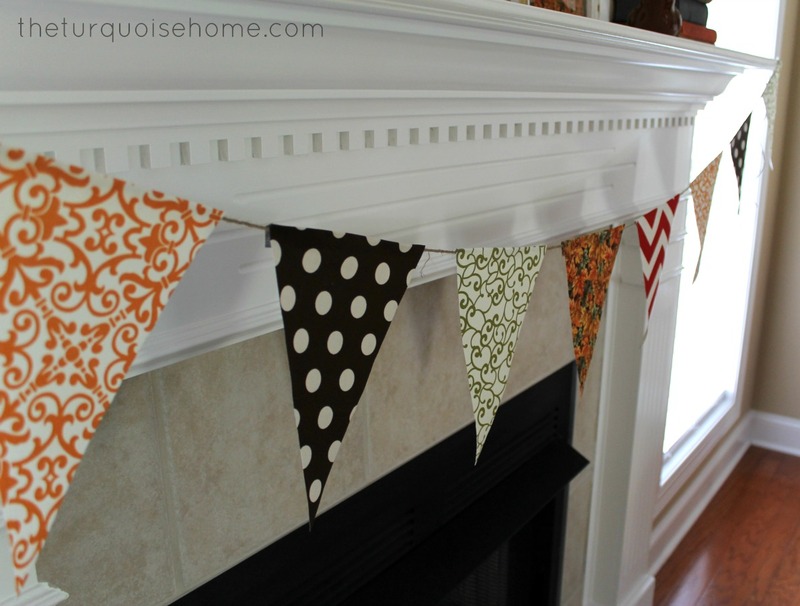 Leftover scrap fabric creates this perfect fall bunting and you want to know the best part? That’s right people, no sewing required. Grab your hot glue gun and be done in 5 minutes flat! 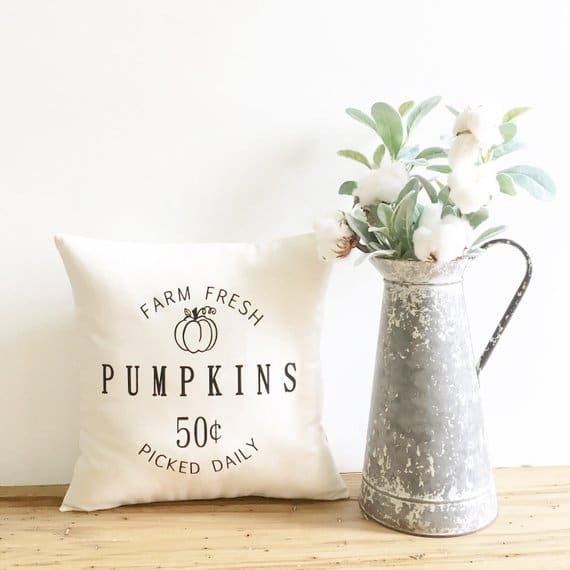 If you have a stockpile of old, outdated pumpkins from the clearance section you’re in luck! Transform your dilapidated décor into a new and trendy style. 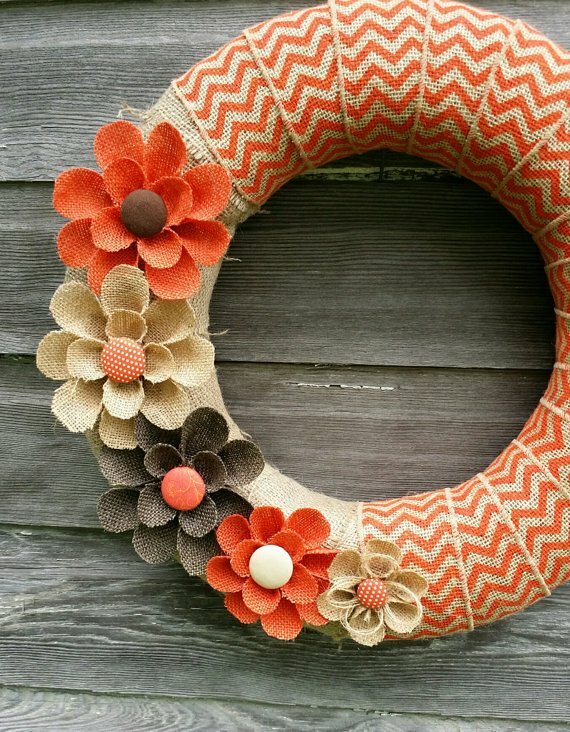 This wreath topped my list of must-haves this year. It’s cute and classic and simple to the core. All things I love in my home décor. Printables! 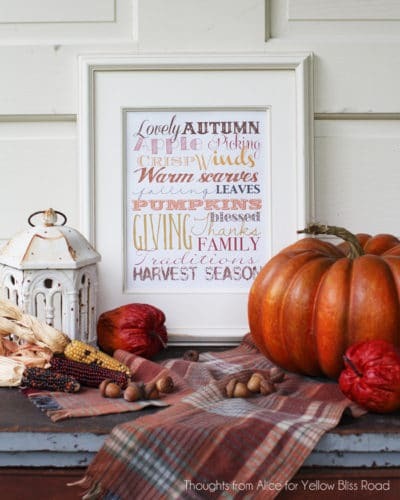 This is one of my favorite ways to add something new to my fall décor because all it takes it a printer. Free printables are easy to find and always make your décor seem a little more fresh and current. 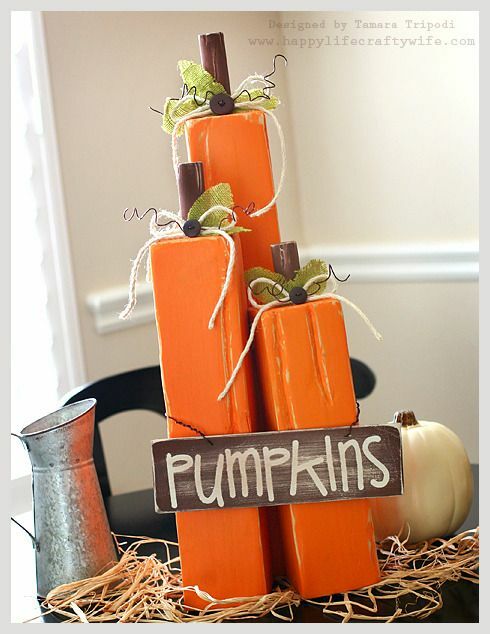 Wonderful ideas, I love the candle decoration – simple and lovely idea.